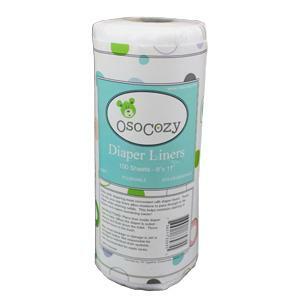 These liners make the clean-up of dirty diapers a whole lot easier! 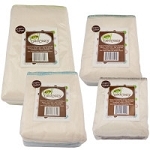 Made of 100% viscose rayon, these liners are super soft and comfortable and will not irritate your babyâ€™s skin. If you are using a septic tank or live where you may have old or damaged drain lines, we suggest that you throw away liners that are only wet and allow dirty liners to soak for a while before flushing. Each sheet is slightly smaller than 8Ã—12 inches and can be folded to fit smaller diapers. 100 sheets per roll.